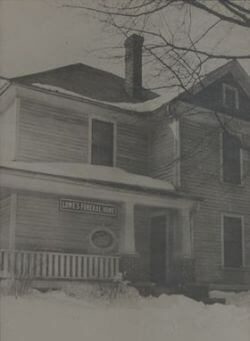 Lowe Funeral Home and Crematory, Inc. originated in 1926 as part of Cates, Lowe and Cheek Furniture Store. About March of 1932, the funeral home part of the business was purchased by J.A. Lowe, and Lowe Funeral Home opened its doors in a renovated house on the corner of Main and Holt Streets in Burlington. Business increased until, in 1955, a larger, more modern facility was built on South Church Street. Mr. Lowe’s son Wade F. Lowe, joined the firm as a young man following his service as a pilot in WW II. He worked with his father until the elder Mr. Lowe’s death in 1961. From then until 1990, when ill health forced his retirement, Wade and his wife, Doris Wilson Lowe operated the business. Their son, James A. “Jim” Lowe II, has been a part of the business since the early 60s. He, along with his wife, Paula, and 20 other full and part-time staff members are responsible for the operation of the funeral home today. Lowe Funeral Home's success can be attributed to our current staff and those who have gone on before us. Their contributions and years of service have made Lowe Funeral Home what it is today.